Waterwheel Lodge near Sturgis is the perfect location to call home while touring the Black Hills of South Dakota. The adjacent working water wheel, pond with picnic area and cedar bridge offer a picturesque setting for this beautiful custom log home. 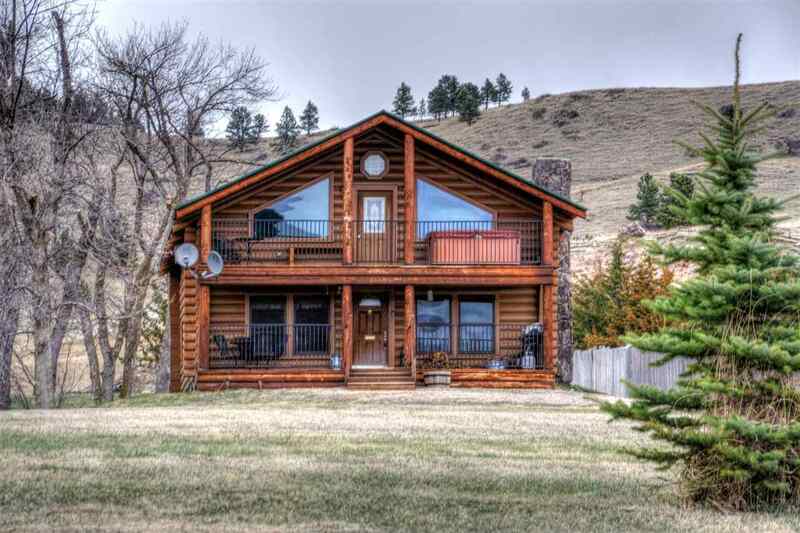 This log cabin is located off a dead end frontage road with minimal traffic on an oiled gravel service road one mile from Sturgis offering easy access to I-90. Waterwheel Retreat has a queen bed in each bedroom with a queen sofa sleeper in the loft. The spacious bedrooms allow the use of the three queen air beds if needed.